The Rt Hon Professor Paul Burstow, the president of the TEC Services Association, reflects on the potential of technology-enabled care to transform health and care. 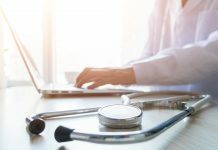 Technology has always played an essential role in the diagnosis and treatment of health conditions; however, the focus has traditionally been around hospitals and acute care. Yet, much of health, wellbeing and care actually happens in the community – in peoples’ own homes, GP practices and health centres, in supported housing and care homes. 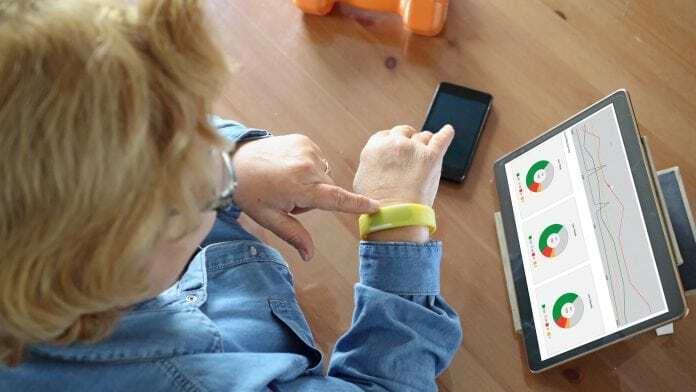 There is increasing interest from both NHS and local government in more personalised, predictive, proactive and preventive approaches using remote monitoring to reduce the risk of hospital admissions, enable earlier discharges and support informal carers. Throughout the UK, albeit with significant variation, health and care practitioners are able to assess for and provide a range of technology-enabled care (TEC) into people’s own homes and other community settings to support independent living – from alarm call systems, fire safety infrastructure and fall detectors to glucose and blood pressure monitoring. There are a range of apps and everyday consumer products that can provide alerts, reminders, remote monitoring and advice through smartphones, tablet devices and smart speaker systems. In addition to smart home sensors there is increasing use, particularly in Scotland, of video consultations, remote monitoring using medical devices and connectivity to wider health and care records through secure networks. Technology is moving at a rapid pace with new apps, wireless sensors and smart appliances appearing every week. New devices and apps can help people communicate with experts, seek urgent help, reduce social isolation, control the home environment as well as maintaining health, fitness and wellbeing. The beauty of digital delivery is that it does not need to be left at the door when people go out – it enables greater independence. Sensors can monitor health vital signs as well as peoples’ movements to reduce the risk of falling and connect them to on-site experts or remote monitoring centres. Technology is becoming more predictive by learning from its environment and a variety of data sources – we are reaching the point where with the right combinations of technology health crises can be prevented through careful monitoring and timely intervention. We can also expect to see more ‘robotic’ or ‘cobotic’ devices and voice assistants, for example, for therapy, rehabilitation, exercise programmes, dementia support, companionship as well as scheduling appointments and reminders. Such technology-enabled care can be very cost-effective and improve outcomes but there are still limitations in its use. Policymakers and clinicians often need to be convinced of the value of technology innovation through evidence from controlled clinical trials – these can be expensive to set up and take time to be evaluated. 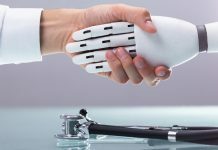 It could be said there is a tension between the healthcare world, where innovations are adopted after the evidence, and the digital world where innovations are trialled and developed iteratively. The adoption landscape for TEC in the UK remains complex and challenging. 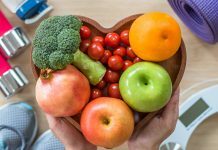 However, the increased emphasis on population health and supporting people to better self-manage their health conditions has increased interest in the contribution that both specialist and everyday technologies can make. Training and professional development play an essential role in making the shift to TEC. Individual users and patients can reject TEC options that are poorly introduced by untrained staff. Having in place a clear set of quality and safety guidelines that embed user outcomes in TEC provision is essential. However, such guidelines need to be flexible enough not to stifle innovation, yet robust enough to ensure that tech isn’t used for the sake of it. The care conversation still needs to start with ‘what matters to you’ rather than ‘wow look at this new gadget that we want you to use’. Technology can enhance but not replace personal contact. TEC can help support treatment and care plans and there are thousands of published, peer-reviewed evaluations that provide useful insight into what works in what circumstances. Over the next few years, analogue phone services in the UK will be replaced by digital connections. This has already happened in Australia and some parts of Scandinavia. In the UK this will affect up to two million existing TEC users who are currently connected via their telephone landlines. Faster digital connectivity can provide advantages for technology-enabled care – for example, higher bandwidth for video, error monitoring for equipment, two-way communications, wider range of sensors using Bluetooth, Wi-Fi and other internet protocols. However, live streaming of online movies, video calls and other facilities such as voice assistants can put a lot of strain on local connected systems in individual homes and other community settings. Many rural settings still have poor broadband connections. The TSA have an active campaign, Digital Shift,1 which is collaborating with telecoms, regulators, emergency services and health professionals to ensure that lives are not put at risk as a result of the move to VoIP. There is no specific date fixed for the digital switchover as yet but we can expect significant progress as we move towards 2020 and beyond. Both Ofcom and British Telecom have stated that the end date for the changeover is 2025. This will see analogue landline telephone systems move to internet protocols and 5G mobile will also become available. As the telecommunications networks move to fully digital, it will be necessary to update or replace many of the systems that are currently in place. In some cases, the connected systems that we currently have will no longer work – this could include telecare systems linked to remote control centres, fax machines and many older phone handsets. When were the existing systems installed and last updated? Are quality assurance protocols and standards in place to regularly maintain/test systems and devices and report any non-conformities? Are there any outstanding action reports or concerns about system effectiveness? Are any devices or systems linked electronically to an external site, e.g. a control centre, home worker, social care or NHS? Have checks been made with suppliers and third parties to review whether current devices and systems meet any proposed standards and will still operate after the digital changeover date? Is a secure WiFi network in place which has advanced levels of cybersecurity (particularly important if there are external links to health and social care services)? What specifications and requirements are being set by regulators and service commissioners? Can individual users and patients use their own personal devices on the home systems? – If systems need to be updated, who will pay – users and residents, carers, commissioners, social care, health, insurance? Are specifications and common procurement arrangements in place? Are there policies about integrated vendor systems or is there a much freer approach that mixes different tech components? 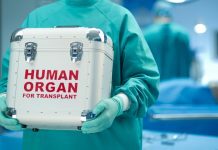 There are many additional advantages to investing in digital systems – greater connectivity and more extensive options that can, for instance, link to wider health and care records. Environmental and personal sensors can pick up alerts more quickly and route them to people who can take appropriate action. There are opportunities to better schedule care activities (e.g. home visits), provide support for care homes and manage local inventories. High-definition video connections can provide 24/7 support to reduce unnecessary hospital admissions. However, TEC investment decisions need to be properly evaluated for cost-effectiveness. Many commissioners and providers have budget constraints and are often not early adopters of new technology despite growing evidence of the cost-saving potential. Social care generally receives much less funding than health and much less than is needed. In the UK the NHS is beginning to take much greater interest in home and community-based care and may be positioned to help fund some new technology innovations to prevent problems such as falls or hospitalisations. The emergency services are also taking a more proactive role in the home care and housing sector as they recognise that early strategic involvement helps them to manage costs and resources by a more proportionate response to call-outs. As well as digital-ready devices it is likely that upgrades will sometimes need to be made to broadband and local WiFi systems and people’s own connectivity. Despite large-scale broadband growth many communities are still not connected; this is more so in poorer and more challenged areas. 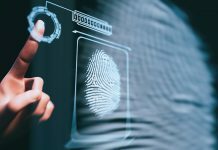 Cybersecurity needs to be in place and personal devices need to be assessed to ensure that critical systems are not compromised. These will all need to be factored into business decisions as upgrades and replacements are contemplated. It is vital that providers are kept up to date on digital developments, both in the commercial and consumer arenas, and take the necessary action to prepare for the digital switchover to ensure continuity for current TEC users. TSA represents over 370 members and a wide range of stakeholders (including Academic Health Science Networks, local government and housing associations) to ensure that progress is made and nobody is left behind. Best practice is actively promoted through the TSA Quality Standards Framework4 supported by comprehensive training for service providers and practitioners, and innovation and impact are celebrated through the ITEC Awards,5 launched this year to an international audience. The growing interest in moving health and care closer to home has provided fresh opportunities to focus more on improving health and care outcomes for individuals, their carers and families. support practitioners to reduce unnecessary hospitalisations and make the home the focus for fitness, health and wellbeing. In summary, there is increasing potential to support face-to-face care with cost-effective digital technology that could lead to better outcomes. Technology-enabled care could help free up the time of key staff to provide the important personal touch to those who need it most, particularly when we know that those staff are under considerable pressure. This article will appear in issue 6 of Health Europa Quarterly, which will be published in August.